That’s why we developed the OPEN TO CHANGE program, a state-of-the-art substance abuse programming expressly shaped for flexible administration - and concrete results. 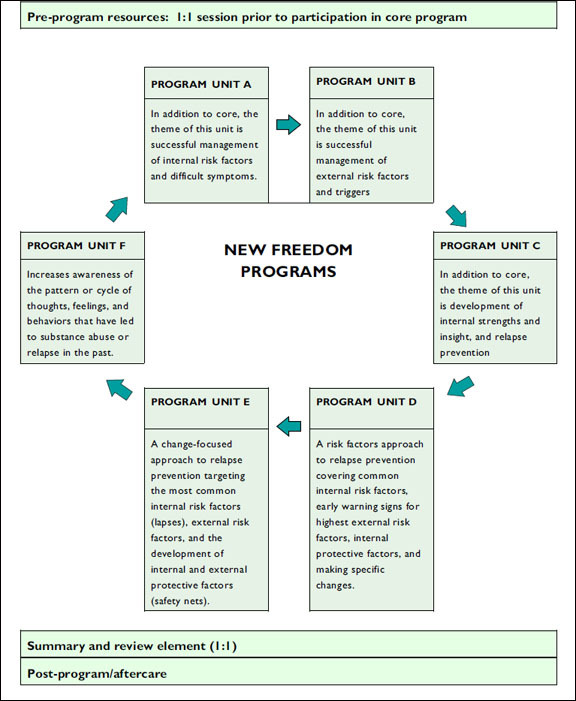 This comprehensive open group program package— available in both adult male, adult female, and juvenile versions— features a creative new approach: participants can be added to the group at any point, while the outcome-driven model provides structure and support for individual progress and change. This allows for open group and open admissions, while still providing a sequential approach to motivation and key concepts in substance abuse treatment. This resource is designed to be delivered in one-hour sessions and is provided in ten-session units. A typical program may consist of three to six units (30–60 program hours). Unit D is shaped to identify, and respond successfully, to warning signs of potential relapse. Unit E is specifically focused on relapse prevention. Unit F provides a comprehensive approach to personal change from substance abuse and similar issues. This resource is available in a Men's Version, a Women's Version, and a Juvenile Version.